Praised by the Horn Book as “both quiet and exhilarating,” this novel by the acclaimed poet and National Book Award Finalist Naomi Shihab Nye follows Aref Al-Amri as he says goodbye to everything and everyone he loves in his hometown of Muscat, Oman, as his family prepares to move to Ann Arbor, Michigan. This book was awarded a 2015 Middle East Book Award, was named a Notable Book by the American Library Association, and includes extra material by the author. Aref does not want to leave Oman. He does not want to leave his elementary school, his friends, or his beloved grandfather, Sidi. He does not want to live in Ann Arbor, Michigan, where his parents will go to graduate school. His mother is desperate for him to pack his suitcase—but he refuses. Finally, she calls Sidi for help. But rather than pack, Aref and Sidi go on a series of adventures. 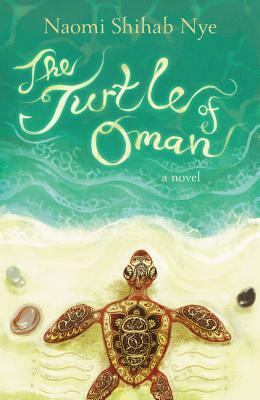 They visit the camp of a thousand stars deep in the desert, they sleep on Sidi’s roof, they fish in the Gulf of Oman and dream about going to India, they travel to the nature reserve to watch the sea turtles. At each stop, Sidi finds a small stone that he later slips into Aref’s suitcase—mementos of home. This accessible, exquisite novel shines with gentle humor and explores themes of moving, family, nature, and immigration. Naomi Shihab Nye has created what Kirkus called “a warm and humorous peek at the profound and mundane details of moving from one country to another—a perfect pick for kids on the move.” Features black-and-white spot art and decorations by Betsy Peterschmidt.